Even for the biggest land animal in North America, life can start out on the perilous side of things. A ranger at Yellowstone National Park recently documented this truth in a series of photographs that's attracted quite a bit of media attention. The images, captured in the vicinity of Madison Junction in the western part of the park, show some life-or-death drama going down between a straight-out-of-the-womb bison calf and a determined coyote. There's a critical third player in the cast of characters, too: the mother bison. "The cow was worn out from giving birth and the calf was unable to stand yet," Ranger Joy Guffy, the photographer, reported on Yellowstone's official Facebook page. 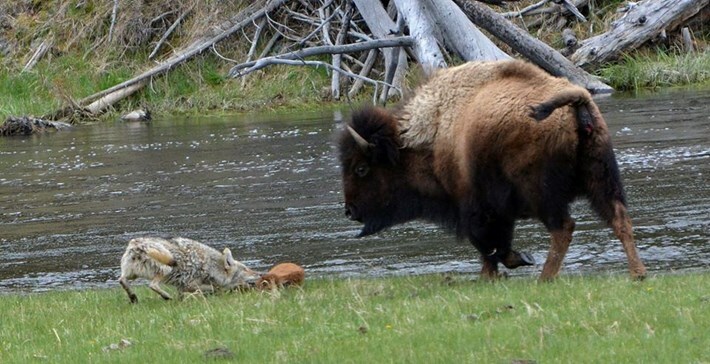 Despite her weariness, the bison cow wheeled and parried with the darting coyote, which in one picture has managed to get its teeth on the chestnut-brown newborn. "The coyote was ultimately unsuccessful," Guffy wrote, "but all three appeared to be exhausted from the interaction." 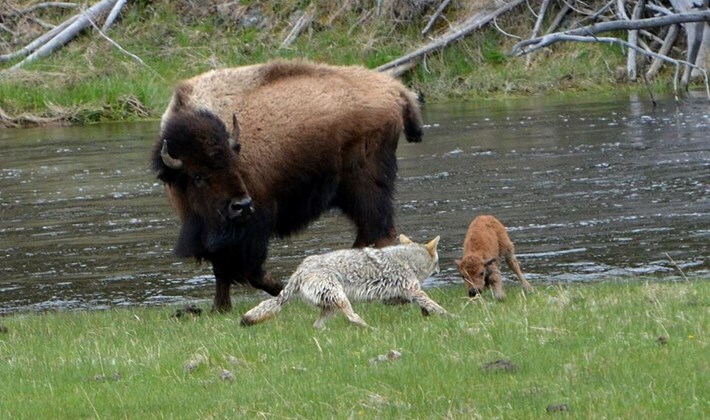 Bison calves are "precocial": that is, they're up and about shortly after birth, able to travel with their mothers and the rest of the herd basically off the bat. 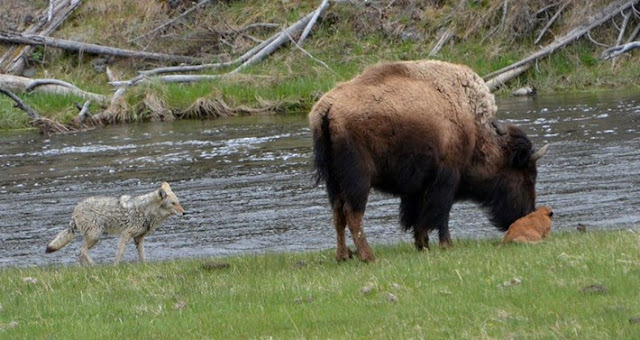 Bison cows often isolate themselves to give birth, but once the calf is mobile, the pair rejoins the herd: a newborn moving about within the group is already that much less vulnerable. 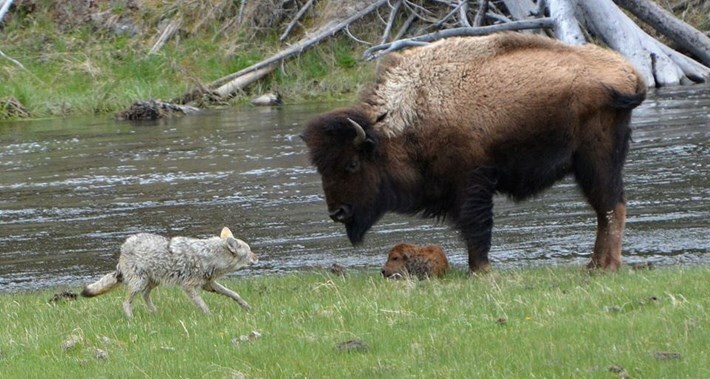 Responses to "Bison mother saves newborn calf from determined coyote"